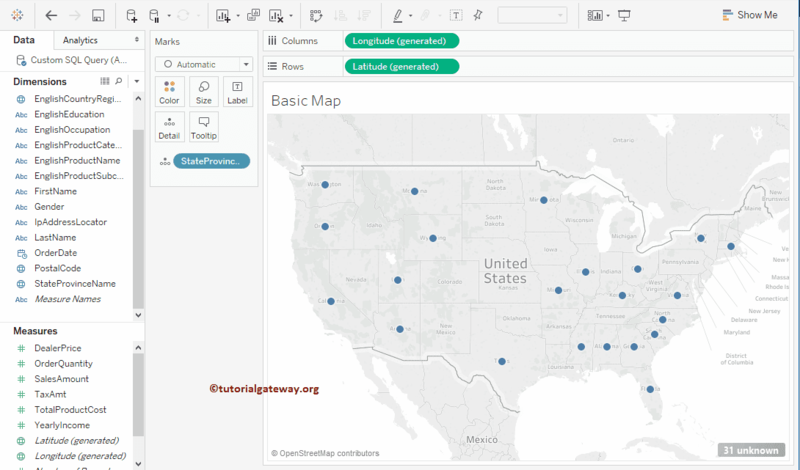 Tableau Maps are very useful to visualize the geographical data. 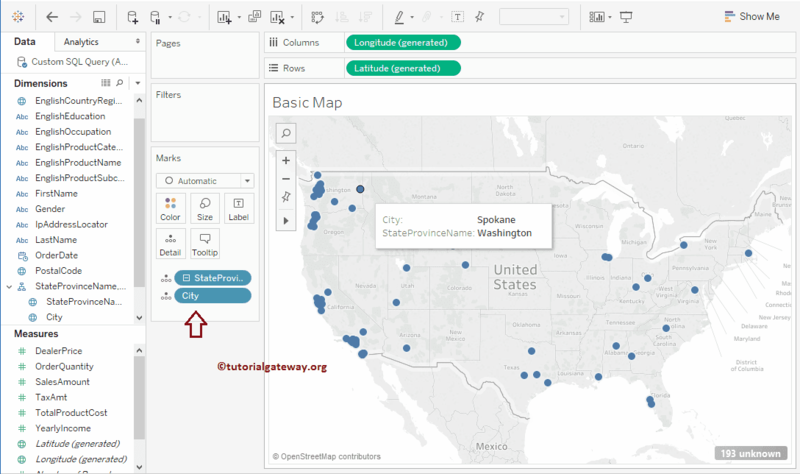 In this article, we will show you, How to Create a Map in Tableau with an example. 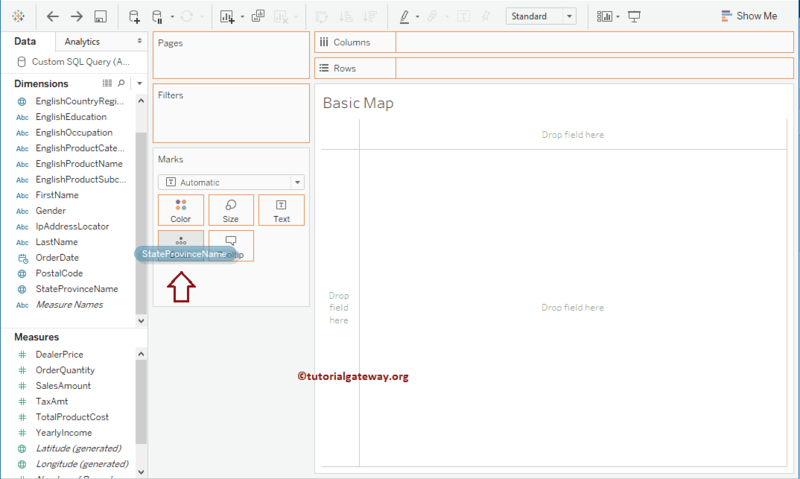 For this, we are going to write the Custom SQL Query against the SQL Server Data Source. 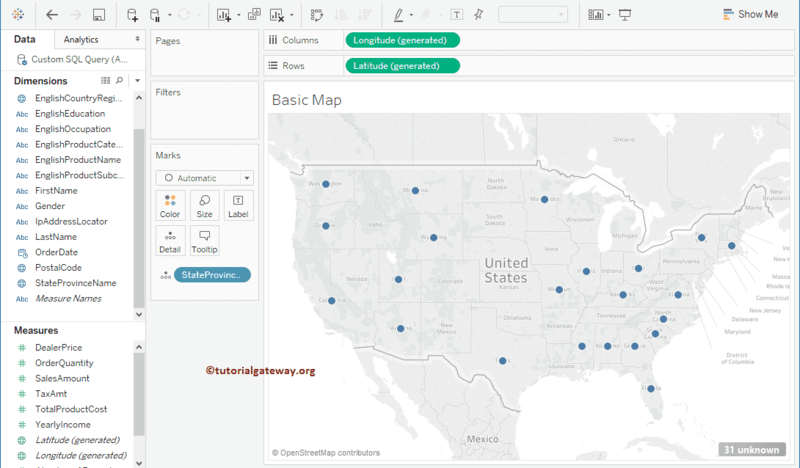 From the below screenshot you can see that Tableau had added the Latitude value to Row shelf, Longitude value to Column shelf, and State province Name to Details field present in Marks Shelf. Now you can see the auto-generated map. 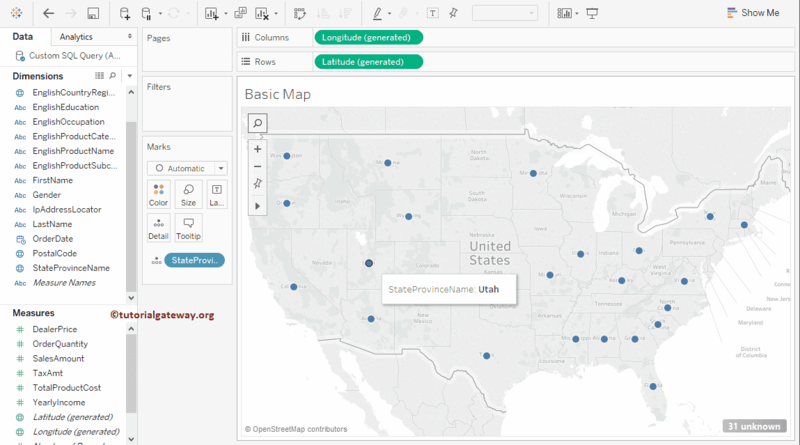 You can also add the geographical hierarchy as well. 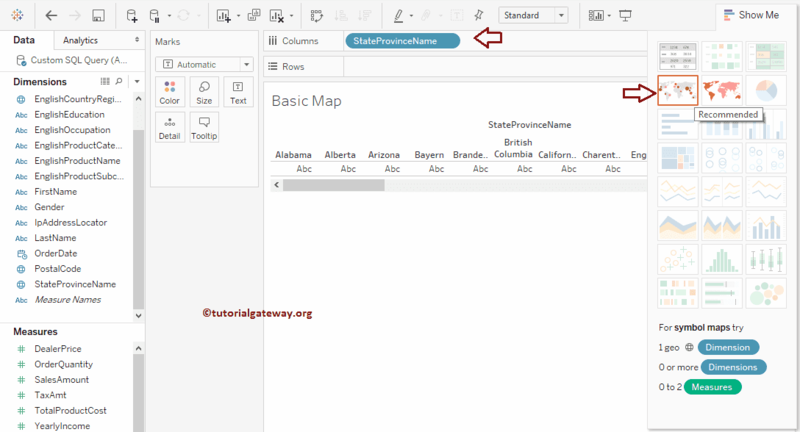 From the below screenshot you can see that we have added the State province hierarchy (province Name, City) to details shelf. Let us add Sales Amount Measure to Colors field present in Marks Shelf. 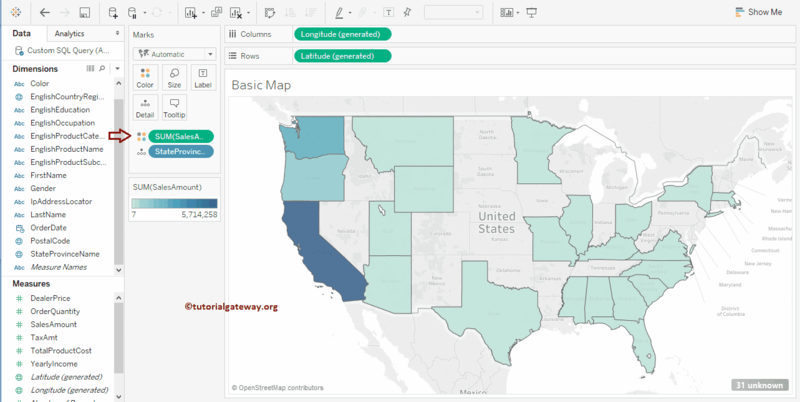 This will add colour to each state based on the Sales Amount occurred.